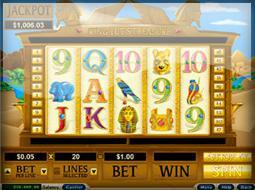 This week we’ve featured a couple different blogs on slot machines. We are going to finish off the week with a look at a couple of extremes in the world of slot machines: the most expensive slot machine ever made, and the biggest payout by any slot machine, anywhere. Sidney Mobell, a jewelry designer known for his work with Hollywood celebrities, has constructed a slot machine that will impress even the most seasoned gambling impresario. The machine in question is a 1925 Calle, one of the oldest slot machines in existence today. He bought the machine to work on in a yearly capacity. A few modifications here and there grew into something much larger. The work took on a life of its own, and within no time, Sidney was extending his range of materials to more premium type adornments. He would come to start using rubies, sapphires, and diamonds. The finished restoration would come to be more than just a simple restoration. With 818 gem stones —317 sapphires, 302 rubies, and 183 diamonds—this collector’s edition of one prices in at a cool $18 million. So, naturally after looking at the most expensive slot machine, we need to look next at the most expensive (progressive) slot machine win in all of history. The year was 2003, and the city as you might have guessed, was Las Vegas. The esteemed honor goes to a young software engineer who was visiting some family in Vegas during March Madness. He decided to throw $100 into a slot machine while watching one of the games. The 25-year-old in question did not know it at the time, but he was setting himself up for the biggest slam dunk in recorded slot machine history. The man, who chooses to remain nameless, walked away with a cool $39 million.